You love the thrill of the open road, deep waters and backcountry trails, and it’s easy to see why. Few of life’s pleasures can compare to the rush of discovering yourself in the wild outdoors. Whether you favor sailing, climbing, hiking or camping, you deserve the opportunity to explore the unknown. Thanks to the recreational vehicle insurance product portfolio from Lester, Greene & McCord Insurance, you now have options for covering your toys! Several of our top rated carriers specialize in covering all recreational vehicles. 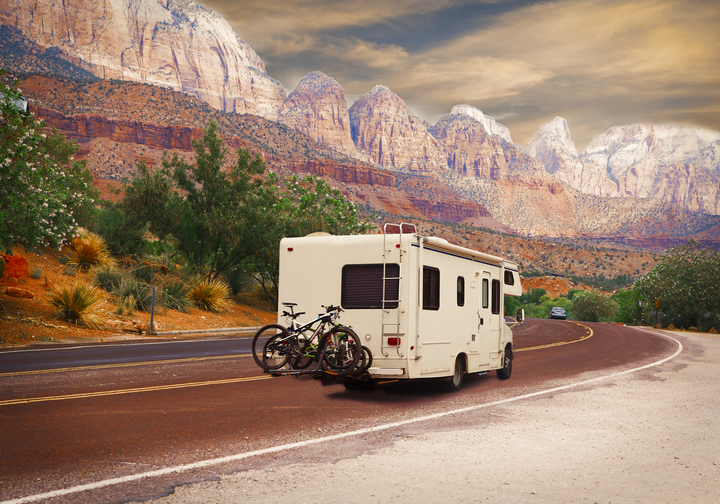 We offer a variety of RV insurance products that keep you moving no matter who you are. You may require a policy that suits the needs of a committed weekend warrior or something tailored to the constant demands of extended cross-country odysseys. Working with our experts gives you the power and knowledge to craft the ideal policy for your budget and usage habits. At Lester, Greene, McCord and Thoma Insurance, we do more than simply provide you with a policy. Instead of offering general coverage terms and hoping for the best, we evaluate each case in turn so that we can craft an original solution for your situational insurance requirements. We’re not afraid to go outside our comfort zones to help you find the best recreational vehicle insurance. Your RV, motor home or trailer may not be the most common model on the market. It could even be a custom or vintage item. No matter what you use to make the world your oyster, we’ll work tirelessly to formulate an adequate coverage strategy. Learn why so many adventure-seekers depend on Lester, Greene, McCord and Thoma Insurance in Tullahoma, Tennessee to make their voyages smoother sailing. If you are interested in a recreational vehicle policy, give us a call at (931) 455-3453 to speak with one of our helpful representatives about getting a free quote. Our agency works throughout Tennessee with a focus on Tullahoma, Manchester, Winchester, Lynchburg, Decherd, Shelbyville and surrounding areas.